While the likes of Nakumatt Uganda[ formerly a market leader] blame their current woes on the ‘ ‘ depressed economy’’, other players particularly the indigenous players, and more so Capital Shoppers and Mega Standard Supermarket are posting growth in sales, revenue and branch network. This development casts doubt on Nakumatt’s claim that Uganda’s economy is depressed. The latest, Mega Standard Supermarket is now opening up another branch at Garden City where Uchumi supermarket was located. This development brings it in direct competition with –market leaders-Capital Shoppers who opened an outlet in the same location last year. Capital Shoppers is also in advanced stages of opening another branch in Wandegeya bringing the number of outlets to five, including: Nakawa, Garden City, Nakasero and Ntinda. The other supermarkets in expansion drive are Quality Supermarket, with branches on Martin road in Kampala, Ntinda and Namugongo. The unique thing about this supermarket is that it’s housed in own buildings. This growth happens when foreign supermarkets are either [closing-some branches-Shoprite, Nakumatt, Turksy’s] or struggling to keep in Uganda. Uchumi couldn’t handle the fire, preferring to close operations in Uganda, while Nakumatt and Shoprite are said to be struggling and rumored to be closing anytime soon. The other foreign retail giants who have packed their bags include Metro Cash and Carry. While more and more foreign supermarkets are closing or finding it difficult to operate in Uganda, this has not stopped others from jumping into the flying pan. Reports suggest a French based retail giant is planning to launch her services in Uganda anytime soon. The supermarket will be located around Dewiton road/ next to the former Shimon Demonstration School. 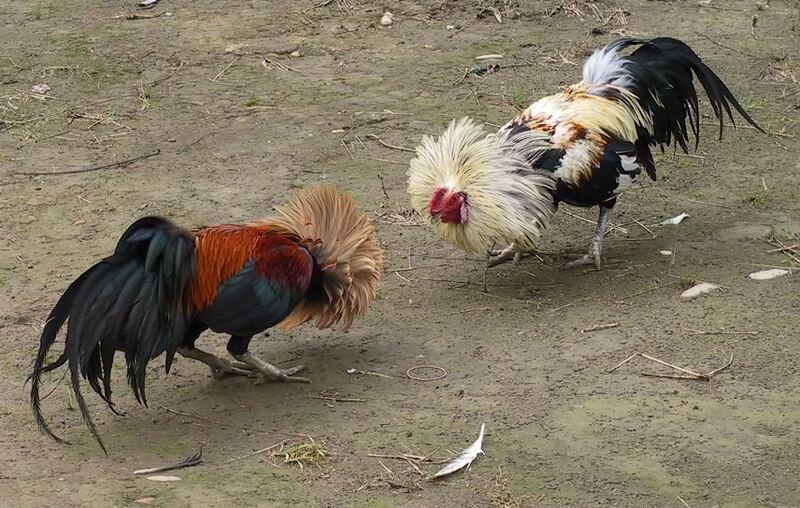 The big boys have cultivated a good customer [buyer and supplier] relationship. The owners of these supermarkets ensure that their job-The suppliers are paid promptly. This genial relationship has resulted in continuous business and positive word of mouth, hence the growth in sales, revenues and branch network. Last year, Capital Shoppers opened the Garden City branch at a time when Uchumi Garden City branch was stressed, facing stock outs. A well stocked Capital Shoppers was the choice for shoppers. 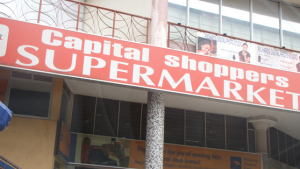 Owners of Capital Shoppers, Mr. and Mrs. Ngabirano are said to be in full control of the business. They are there full-time to manage the business, including paying the suppliers on time. Mr. Ngabirano, is said to be active in the Catholic Church,-particularly Christ the King Church Kampala and Mbuya Church, the two leading and busy catholic churches in Uganda. –Insiders say this Goodwill has also helped Capital Shoppers to grow and grow. It is not surprising, whenever, there is Capital Shoppers, and there is a Centenary Bank branch or an ATM. On the other hand, fast rising Mega Standard Supermarket started from the old taxi park. Here they had/ have access to a huge market from thousands of Ugandans coming in and out of town every day. The beauty with these customers is that they pay cash. From here, the Supermarket owners got the capital to roll out. Like Capital Shoppers, Mega Standard Supermarket customer service is superberb. There are notices inside the supermarket asking customers to rate their service. There are two desks inside the supermarket to handle customer complaints. If there is one thing that is failing foreign supermarkets in Uganda, it is none other than fraud. It is said, firms are hit from all sides. Unconfirmed sources say managers normally connive with landlords to hike rents from which they share the difference. Besides, there is a lot of pilfering [way above the globally acceptable levels] -right the from the store to the floor. Add to waste [expire], which sends the supermarkets in losses. While Nakumatt does mention fraud, this was indirectly mentioned in their recent press release ‘ ‘ We have also integrated an advanced warehouse management system that allows holding optimum stock based on daily shop floor take in line with global based benchmark….’’ Reads the statement in part. 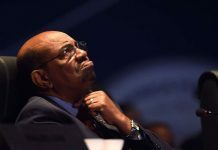 Back then, suppliers of Shoprite said they went through hell to get their payments. At one point the suppliers of Shoprite had to submit their invoices online, equally they would get their payments online. The payments would be generated in South Africa. This scared away some Ugandan suppliers who later badmouthed the company. Shoprite bureaucracy was also exhibited when a local newspaper thought a comment over possible takeover by Nakumatt from Shoprite Uganda country manager, Jayte Slabbert. The paper was referred to company’s headquarters in South Africa. Such bureaucracy cannot work in Uganda where local players have powers to decide on key issue there and then.-Talk about lack of local touch. Nakumatt and Uchumi [ both Kenyan firms] find themselves in the same boat. The decision regarding Shoprite and Nakumatt are taken in Nairobi-such bureaucracy cannot work in a highly competitive environment like Uganda. Nakumatt also cites high operating costs as the other challenge it faces in Uganda. As noted above, the high costs are sometimes partly a result of fraud. However, Newz Post was not able to find links of rental fraud in the case of Nakumatt Uganda. Important to note, these supermarkets on many occasions bring in foreign workers, particularly senior managers [despite the presence of skilled manpower in Uganda] these are paid as expatriates. Such costs are pushed on the customers inform of higher prices. No wonder Nakumatt prices are relatively high compared to those of other players. In a highly price sensitive market, it little wonder, the store is struggling. 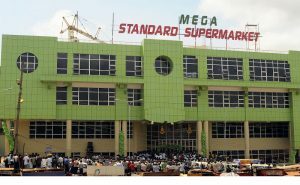 Analysts have warned that Mega Standard and Capital Shoppers owners on the ambitious expansion.-calling on them to trade consciously. Otherwise, they might fall in the same cooking pot as Nakumatt and Shoprite find themselves in today. Here at Newz Post, we hope the two big brothers are taking picking both positives and negatives from the fall of the giants.